This is one of my favorite appetizers ever. I kid you not, I could eat the whole batch all by myself. Cauliflower isn’t on the top of my list when it comes to vegetables. I find the taste a bit bland and lets be honest once boiled it doesn’t smell to appetizing either, don’t you agree? However, when combined with loads of cheese, breadcrumbs and fried in oil, it’s like an explosion of flavors in your mouth. Yes, they are that good. I also love the fact that I can prepare them the night before and simply fry them the next day when company is over. Oh, and did I mention that kids love them too. I hope you’ll enjoy this recipe as much as I do. 1/2 gallon of whole milk (used for boiling the cauliflower. You can also boil the cauliflower in water, but i find the taste to be richer in flavor when boiled in milk). Begin by cutting the washed cauliflower into florets. Add the florets to milk and boil until the florets are tender. Drain the florets and place them in a large bowl. Add the feta, chopped parsley, 1 beaten egg, salt and pepper to taste and 1 cup of panko. Use a fork or a potato masher and mash all the ingredients together. I prefer to have chunks of the cauliflower, so I don’t over mash mine. Once all the ingredients are combined and mashed, roll them into the size of golf balls. 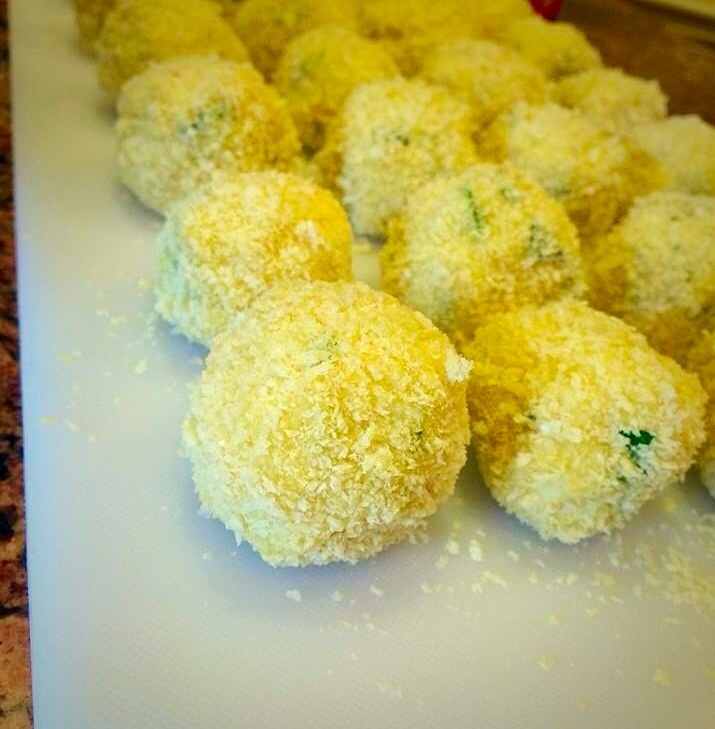 If you find that the balls are not holding their shape add some more panko until they hold together. When you have rolled all of the mixture, create a breading station. In a the first plate add the flour, second plate add two beaten eggs and third plate add the remaining panko bread crumbs. 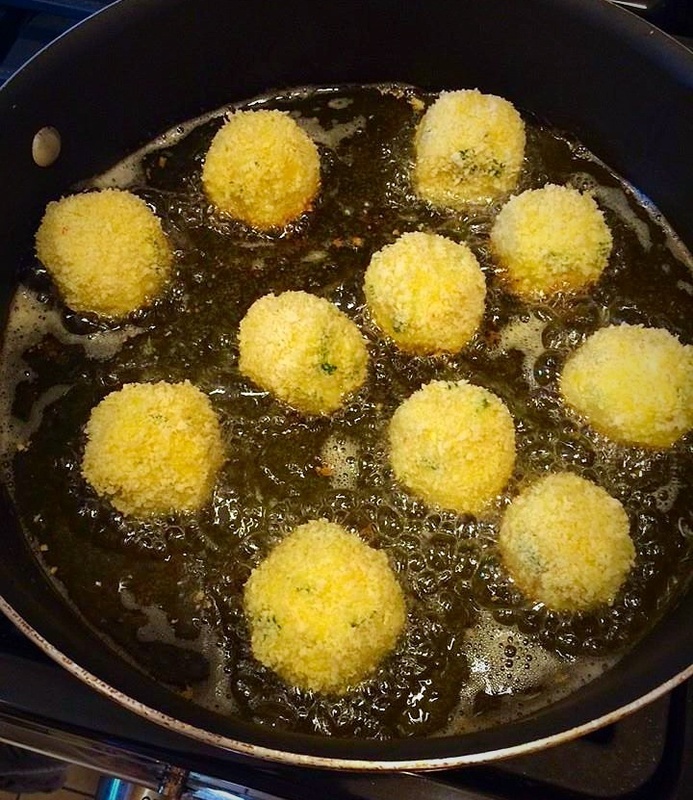 Begin by coating the cauliflower balls in the flour, then the egg, followed by the panko. 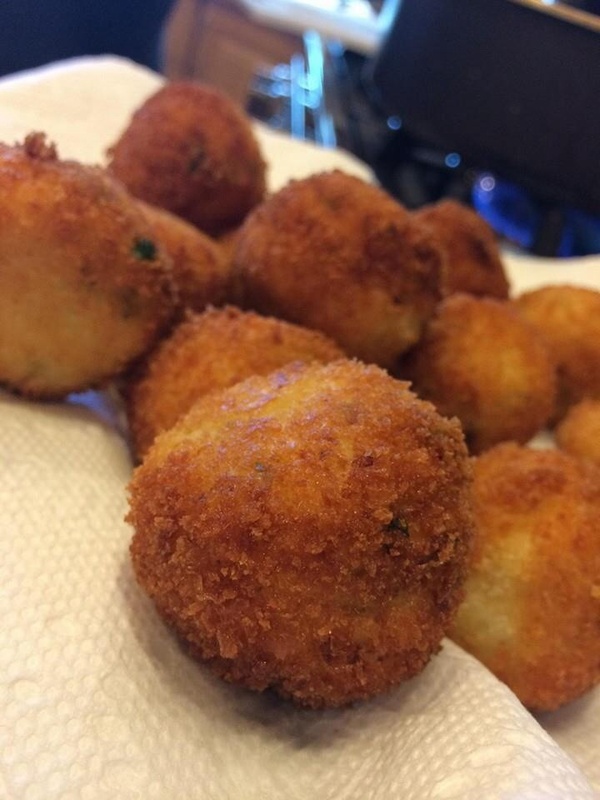 Once all the cauliflower balls are coated it’s time to fry them (you can also refrigerate them and fry them the next day). Fry them in batches till they are golden brown all around. 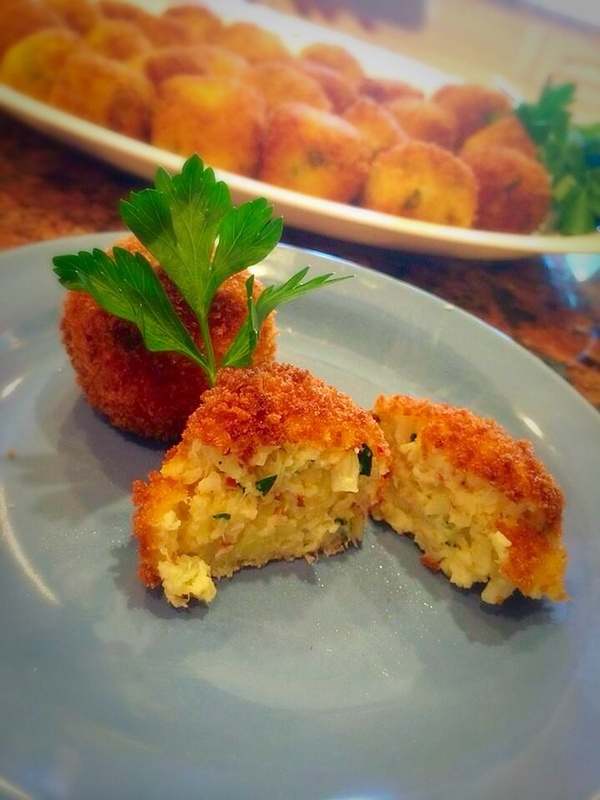 Place the croquettes on a paper towel to drain excess oil. You can use Ranch dressing as a dipping sauce. These look super yummy! Thanks for posting!